The main sources of law for public procurement in Austria are the Federal Public Procurement Act 2006 (BVergG), as amended by the draft BVergG 2018, and the Federal Act on the Award of Contracts in the Fields of Defence and Security (BVergGVS), as amended by the draft BVergGVS 2018. Due to the country’s federal structure (federal state, provinces and municipalities), there are a further nine separate public procurement acts at the regional level. The BVergG applies for the entirety of public tenders awarded by the nine Austrian provinces and the communities and public bodies governed by them. In contrast, the review proceedings at the regional level are exempted from the BVergG; these are regulated by the nine distinct regional laws. However, these regional laws do not deviate significantly from the review proceedings stipulated in the BVergG. The BVergG continues to transpose the 2004 Public Sector Directive, the 2004 Utilities Directive and the Remedies Directive. However, in 2018 a draft Public Procurement Reform Act (PPRA 2018) was presented, which provided for the implementation of the 2014 Public Contracts Directive, the 2014 Utilities Contracts Directive and the 2014 Concession Contracts Directive. Though not enacted to date, it is likely that the draft PPRA 2018 shall be promulgated essentially as proposed. Therefore, the following analysis is based on the draft PPRA 2018. Thus, the Federal Act on the Award of Concession Contracts (BVergGKonz) is also to be mentioned as a main source of law for public procurement in Austria. In addition, the case law of the Federal Administrative Court (FAC), the nine administrative courts, the Supreme Administrative Court (VwGH), the Supreme Constitutional Court (VfGH) and the Court of Justice of the European Union (CJEU) applies. Austria has implemented its obligations under the World Trade Organization’s Agreement on Government Procurement (GPA). As an EU Member State, Austria is at the same time a contracting party to the Agreement between the European Community and the Swiss Confederation on Public Procurement (and another six sectors). The general principles of public procurement were formulated in compliance with the EU directives, the EC Treaty and the Federal Constitution. Accordingly, the basic principles for public procurement are free and fair competition, equal treatment of all candidates and tenderers in due consideration of the Community rules on fundamental freedoms, and non-discrimination. Pursuant to Section 20, Paragraph 1 of the BVergG, contracts shall be awarded to authorised, capable and reliable entrepreneurs at reasonable prices. The past year was marked by the ongoing failure of the Austrian government to implement the 2014 Procurement Directives. However, in February and June 2017, and in March 2018, the government submitted draft bills. The latter tackled the entirety of the issues provided for in the aforementioned Directives. As the draft PPRA 2018 was therefore ‘big’, the Austrian legislator also opted for a totally new BVergG 2018 rather than merely further amending the current law. n clarification of the extent of permissible modifications of existing contracts (‘safe harbour rule’). Concerning jurisprudence, one ruling in particular stood out in the preceding year as to its relevance to foreign bidders. The FAC2 held that it was unlawful to discriminate against bidders of EU Member States other than Austria. Consequently, the disposal and recycling of waste may also be carried out in approved facilities outside Austria. Permits on waste collection and waste treatment issued in an EU Member State other than Austria must be recognised by the contracting authority in the same way as respective Austrian permits provided that they are equivalent. If the respective waste activities constitute a ‘free trade’ according to the Austrian Industrial Code (GewO), the bidder may not be obliged to initiate a recognition procedure pursuant to the GewO. The ‘classic’ contracting authorities covered by the BVergG are the federal state, the provinces (regional states) and municipalities, associations formed by the previously mentioned bodies, and ‘bodies governed by public law’. A body governed by public law is an entity that is controlled, financed or supervised by contracting authorities and established for the specific purpose of serving needs in the general interest, and not having an industrial or commercial character. In the utilities sector, three groups of contracting authorities may be differentiated: the classic contracting authorities; public undertakings engaging in a utility activity; and (private) entities carrying out utility activities on the basis of special or exclusive rights. Thus, in practice, the utility regime also applies to a variety of private sector utilities including, for example, water companies. In general, supply contracts, service contracts and works contracts awarded by the aforementioned contracting authorities are subject to the procurement regulations. In the utilities sector, a less strict regime applies. The contracting authority benefits from more freedom in the execution of the procurement procedure (e.g., a wider choice of eligible tender procedures). In addition, the BVergGKonz sets forth specific rules and provisions applicable for awarding service and works concession contracts. Pursuant to Paragraph 1 of Sections 5 and 6 of the BVergGKonz, service and works concession contracts are contracts of the same type as service and works contracts, except for the fact that the consideration for the services or works to be carried out consists either solely of the right to exploit the services or construction, or of such a right together with a specific amount of payment. According to Section 7 of the BVergGKonz, on concessions comprising both services and works, the provisions of the contract type that constitutes the main subject matter of the concession contract shall apply. The term of concession contracts must be determined. If the term exceeds five years, it must not pass the period in which the concessionaire is able to generate the capital expenditures plus a return. Generally, the BVergGKonz leans on the structure of the BVergG, but imposes a less strict regime. For instance, the contracting authority is generally free to shape the award procedure of the concessionaire as long as the provisions of the BVergGKonz are observed. Likewise, the remedy regime is similar to that of the BVergG, assigning the competence to the BVwG. The BVergG does not apply when the special provisions of the BVergGVS prevail. The latter provides special rules for defence and security procurement. It covers the supply of military or sensitive equipment, including any parts, components or subassemblies thereof. Moreover, the BVergGVS regulates works, supplies and services directly related to the aforementioned equipment, and works and services for special military purposes, or sensitive works and sensitive services. However, neither the BVergG nor the BVergGVS are applicable to public contracts when they come under the exemption pursuant to Article 346(1)(a) of the TFEU. Pursuant thereto, EU countries may not be obliged to provide information whose disclosure is, in their opinion, contrary to its vital security interests. Austria has exercised this exemption right in Section 9, Subparagraph 4 of the BVergG and Section 9, Paragraph 1, Subparagraph 1 of the BVergGVS. Note that the BVergG, BVergGKonz and BVergGVS also apply below these thresholds. Whether the contract exceeds the thresholds is relevant for the scope of the applicable regulations (e.g., with regard to the number and conditions of the eligible tender procedures). The rules for contracts below the thresholds are, in general, less stringent (e.g., providing for simplified rules on publication obligations). In contrast, more formalised and transparent procedures apply above the thresholds. Moreover, within the scope of the BVergG, contracts that do not exceed a value of €100,000 may be awarded directly. Direct awards with a prior market survey are applicable to supply and service contracts with a contract value less than €130,000 in the classic sector and €200,000 in the utilities sector, respectively; the contract value of works contracts must not exceed €500,000. When resorting to direct awards with a prior market survey, the contracting authority is obliged to publish a notice prior and subsequent to the awarding procedure. The course of the awarding procedure may be determined by the contracting authority, but in due consideration of the general principles of the TFEU. i shall apply in part to service contracts on public passenger transport services by rail or underground. The applicability of these exemptions must be demonstrated and documented by the contracting authority, and is subject to review proceedings before the administrative courts. The majority of the above-mentioned exceptions correspond to the exceptions provided for the utilities sector, irrespective of minor differences (e.g., in relation to contracts on financial services). However, certain exemptions are reserved to the utilities sector exclusively, such as specific contracts awarded for purposes of resale or lease to third parties. Framework agreements are widely used, in particular in market sectors characterised by significant price dynamics (e.g., information technology or the power and gas markets). However, framework agreements are merely available in open, restricted or negotiated procedures. In principle, the term of a framework agreement must not exceed a four-year period. Framework agreements can be concluded between one or several contracting authorities on the one side and one or several entities on the other. This results in enhanced competition and flexibility – both advantages widely appreciated by contracting authorities. Contracting authorities are entitled to conduct tender procedures jointly. Moreover, the BVergG allows the establishment of central purchasing entities. One such entity is the Austrian Federal Purchasing Agency (BBG). Its main task is to provide procurement services to the federal state, the provinces and municipalities, as well as to associations formed by the previously mentioned bodies. The BVergG 2018 introduces new provisions in order to foster joint cross-border tender procedures, including through central purchasing. Public–public joint ventures are common in Austria. In practice, one the most relevant forms thereof is the ‘intercommunal cooperation’. Already, in the groundbreaking Stadtreinigung Hamburg4 decision, the CJEU pointed out that a public authority is entitled to perform the public interest tasks conferred on it by using its own resources without being obliged to conduct a procurement procedure. Moreover, the public authority may do so in cooperation with other public authorities and this cooperation is not subject to a control criterion. Section 10, Paragraph 3 of the BVergG 2018 codified the aforementioned exemption under the designation of ‘public-public cooperation’. In order to rely on the exemption, the involved contracting authorities must aim at the fulfilment of common goals, pursue exclusively public interest and perform by their cooperation less than 20 per cent of the respective activities on the open market. Another important exemption is the ‘in-house’ exemption, which corresponds to the jurisdiction of the CJEU (in particular, Teckal5 and Stadt Halle6). However, the BVergG 2018 extends and also differentiates its scope. Pursuant to Section 10, Paragraph 1, contracts that a contracting authority award to a legally distinct entity do not come under the BVergG if the contracting authority exercises over the distinct entity in question a control that is similar to that over its own departments, if the entity carries out more than 80 per cent of its activities with the contracting authority or authorities that control it, and if there is no private ownership or participation in the entity. However, the BVergG 2018 introduces a narrow exemption from the interdiction of private participation. According to Section 10, Paragraph 1, Subparagraph 1 c, non-controlling and non-blocking forms of private capital participation required by national legislative provisions that do not exert a decisive influence are admissible. Further, the BVergG 2018 widens the scope of the ‘in-house’ exemption to the ‘bottom-up’ and ‘affiliate’ in-house awards. Moreover, the BVergG does not apply if sectoral entities award contracts to an affiliated company, or if a joint venture (formed by several sectoral entities for the purpose of performing sectoral activities) awards the contract to one of those sectoral entities or to an affiliated company, provided that at least 80 per cent of the average annual turnover of the seller has been realised by performing such services to the joint venture. There is no specific legislation applicable to the awarding of pubic–private partnership (PPP) projects, but rather they are regulated by general public procurement rules (i.e., the BVergGKonz). 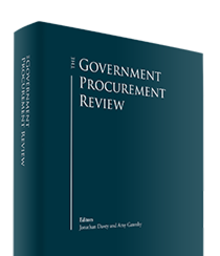 The notion of PPP is not recognised by Austrian public procurement law, and PPPs are typically classified as service or works concessions. Contracts that come under the procurement regulations must be advertised in the OJEU. In addition, they have to be published at a nationwide level. With regard to tenders of a public authority at a regional level, the legislator provides its own regional publication platform. Contracts not exceeding the thresholds are advertised on national portals exclusively. Contracting authorities must use one of the tender procedures provided for in the BVergG: open, restricted or negotiated procedures; direct award (with or without prior public market survey); competitive dialogue; framework agreements; a dynamic purchasing system; design and realisation contests; or innovation partnership procedures. Whereas the open procedure and the restricted procedure can be chosen regularly, other procedures are subject to certain conditions. In the open procedure, an unrestricted number of economic operators are publicly invited to submit tenders. In restricted procedures (with prior notice), any undertaking may submit an application for participation, whereupon the contracting authority merely invites a restricted number of qualified undertakings among the applicants to submit tenders. Subsequently, the full scope of the contract is negotiable. In principle, the negotiated procedure (with prior notice) may be chosen unless an open or restricted procedure with prior notice has resulted in any tenders, or in any tenders appropriate for the purchase. However, the original terms and conditions for the contract must not be modified and amended materially. Moreover, the negotiated procedure may be selected if the special characteristics of the contract do not allow an open or a restricted procedure, or the services of the contract cannot be stipulated in contractual specifications. The BVergG 2018 has widened the possibilities to choose the negotiated procedure with prior notice. In the negotiated procedure without prior notice, the contracting authority calls upon economic operators designated preliminarily to submit an offer. Subsequently, the terms and conditions of the contract are negotiated. The admissibility of this procedure is subject to particular conditions, such as, for instance, extreme urgency, recurrence of similar circumstances or if only one specific economic operator is able to execute the contract. The competitive dialogue is most appropriate if solutions to particularly complex projects are sought. This is the case when the contracting authority is not capable of determining the technical specifications or legal or financial conditions of the project. Framework agreements do not entail a purchase obligation but a non-binding basis for future purchases. A dynamic purchasing system is an entirely electronic process that is restricted to certain services in line with standard market conditions (‘off-the-shelf’ products or services). Design contests are procedures in which plans or designs are selected by a jury; they can be conducted with or without prizes or payments to participants. Under an innovation partnership procedure, introduced by the BVergG 2018, the contracting authority uses a negotiation procedure to invite suppliers to submit ideas to develop innovative works, supplies or services aimed at meeting a need for which there is no suitable existing ‘product’ on the market. Whether amendments to bids are admissible, and the scope thereof, depends on the tender procedure chosen. In open or restricted procedures, bidders are not allowed to amend their bids when the time limit for receipt of tenders has expired. However, queries to the contracting authority for clarification are admissible provided that all bidders are treated equally. In contrast, in negotiated procedures, generally, the entire content of the contract is negotiable. However, such negotiations must not modify the essential characteristics of the contract. To be qualified to bid, the bidders must prove their suitability, their technical and professional ability, and their economic and financial standing. In this respect, the bidder is entitled to submit the European single procurement document pursuant to Section 80, Paragraph 2 of the BVergG. This declaration serves as preliminary evidence of the qualification requirements. If proof of suitability is not provided, the bidder can hand them in later within an appropriate time limit. The evidence of the required ability or suitability can be substituted by a third party (Section 86 of the BVergG). h guilt of serious misrepresentation in providing information. However, in certain cases, tenderers may be permitted to participate in a procedure despite one of the above-mentioned exclusion grounds if they provide evidence of ‘self-cleansing’. To do so, they are obliged to clarify the facts and circumstances in a wide-ranging manner by actively collaborating with the investigating authorities, and by taking technical organisational and personal measures that are suitable to prevent further criminal offences or misconduct. Pursuant to Section 25, Paragraph 1 of the BVergG, economic operators that have participated in the preparation of the tender procedure must be excluded if their participation would distort equal and fair competition. However, prior to any exclusion, the contracting authority is obliged to afford the economic operator the possibility to prove that his or her participation will not distort equal and fair competition. In addition thereto, the BVergG 2018 introduced a new obligation imposed on the contracting authority to take appropriate measures in order to prevent conflicts of interest. According to Section 26, Paragraph 2 of the BVergG, such a conflict of interest is established if personnel of the contracting authority involved in the tender procedure might have, directly or indirectly, a financial, economic or other personal interest that may impair their impartiality and independence. This means a considerable tightening of the respective former legislation. In principle, foreign (non-EU or EEA) suppliers may also participate in public tender procedures. However, they are obliged to comply fully with the conditions and requirements of the tender documents including, inter alia, the minimum eligibility and qualification criteria. The establishment of a local branch or subsidiary is generally not a precondition to participate. In the utilities sector, a contracting authority can exclude a foreign candidate or bidder from an award procedure above the thresholds with regard to products originating from countries that are not EEA signatories or have no agreement with the EU according to which actual access to their national markets is guaranteed in favour of EU-based entities, and that have a legal situation comparable to the one provided by the BVergG. Moreover, the bidder can be excluded if 50 per cent of the required products stem from a country that is not an EA signatory or has not concluded an agreement with the EU on the aforementioned terms. The GPA establishes the principles of equal treatment and non-discrimination in favour of candidates and bidders originating from the signatory states and parties to the GPA. Tenders may be evaluated either on the basis of the most economically advantageous tender or merely on the lowest price. If the most economically advantageous tender is chosen, all awarding criteria must be specified and notified. These may refer to quality, price, running costs, aesthetic and functional characteristics, environmental characteristics, technical merit, cost-effectiveness, after-sales services and technical assistance, delivery date and delivery period, or period of completion. Awarding criteria may also refer to the whole life-cycle of the subject matter of the contract. In addition, for the sake of transparency, the contracting authority is compelled to notify the weighting that is linked to each awarding criteria. Ultimately, the award should be made in accordance with what the individual contracting authority considers the most economically advantageous solution among those offered. The BVergG 2018 strengthens the preference of the ‘most economically advantageous principle’. The latter may henceforth be based on the lowest cost or best price–quality ratio. Alternative bids are exclusively admissible if explicitly mentioned in the tender documents. Unless stated otherwise in the tender documents, they have to be submitted in addition to a ‘main’ offer in conformity with the tender conditions. In contrast, bids marginally amending the tender are permitted unless explicitly stated otherwise in the tender documents. However, they may merely entail minor technical modifications of the contract. National interest and, in particular, public policy considerations, can be taken into account exclusively to the (limited) extent conceded by the legislator and, in particular, in due consideration of the procurement principles. Contracting authorities are obliged by law to assure fair and transparent award procedures in accordance with the procurement principles, above all the principle of equal treatment and non-discrimination. On the one hand, this means, essentially, that candidates and bidders must be notified with the same information to guarantee a level playing field. On the other hand, contracting authorities are compelled by law to protect the confidential character of all information provided to them, especially trade and business secrets. Tenderers are entitled to request clarification with regard to the tender or pre-qualification documents. The contracting authority must respond to such requests. It must summarise the anonymised questions and the answers, and communicate them to all participating candidates or bidders. The contracting authority is obliged to notify the bidders other than the successful tenderer to which the award shall be made. Moreover, it must indicate the award sum, the characteristics and advantages of the winning tender, the reasons for the bidder’s non-selection and the end of the standstill period. There are two distinct main types of proceedings before the administrative courts: review proceedings that can be brought in prior to the award of the contract, and proceedings for declaratory decisions subsequent thereto. Applications for review proceedings seek to have decisions by the contracting authority declared null and void. Applications for declaratory decisions tend to seek to have award procedure faults declared unlawful. Subject to the type of proceedings and the means of communication of the decision concerned, there are distinct time limits. Applications for review proceedings must be filed – according to the BVergG 2018 concerning henceforth sub-threshold procurements and procurements above the thresholds, likewise – within 10 days if the decision was transmitted by electronic means or fax. Applications for declaratory decisions have to be submitted within six months from the moment in which the applicant had or should have had knowledge of the challenged decision (e.g., award). Both the previously much shorter term of six weeks form knowledge and the term of six months subsequent to the challenged decision had to be amended by the legislator (in BVergG 2018) due to the CJEU’s MedEval7 ruling. According to the CJEU, it would contravene the principle of effectiveness if the claim of damages is subject to an ‘absolute’ six-month time limit (stemming from procurement law). However, the sanction to cancel the contract or to declare the contract null and void is still subject to an (absolute) application term of six months subsequent to the challenged decision. According to the BVergG, only certain explicitly enumerated decisions by the contracting authority may be challenged by economic operators and bidders. These decisions refer, inter alia, to the selected award procedure, the tender documents, the invitation to tender, the selection (or exclusion) of the bids, and the award decision. The legitimacy to file a complaint is subject to an interest in obtaining the relevant contract. In addition, the plaintiff must be harmed by the alleged infringement or at least face the risk of being harmed. Challenges are quite frequent in Austria. As to the chances of success, in the reporting period from 1 February 2016 to 31 January 2017, 36 per cent of appeals filed with the FAC were granted. For each application, a fixed basic fee has to be paid. The amount depends on the contract and the type of proceeding, and varies from €308 to €6,156. The basic fee may be further increased (e.g., trebled when the estimated contract value is more than 10 times higher than the relevant thresholds) or reduced (e.g., quartered in the case of applications for review of tender documents). The decision deadline for the courts is six weeks. The main remedies, which correspond to the two main types of proceedings, are applications for review proceedings and for proceedings for a declaratory judgment. The administrative courts have the power to annul decisions taken by the contracting authority (e.g., the award decision). The contracting authority is obliged to adhere to the court’s ruling and release a corresponding decision, anew. To safeguard the effectiveness of the review proceedings, the authority is entitled to grant interim relief (upon a respective application) and suspend the tender procedure or certain decisions. The courts may declare contracts null and void. If they refrain from doing so, they must impose fines instead. In 2015, a sanction of €367,000 was imposed on BBG, constituting the highest fine imposed to date. In 2016, the VwGH held that an imposed fine still has to be paid even if the incriminated contract has been terminated. Judgments in procurement cases are rendered in both the first and last instance. They can be further challenged exclusively through complaints before the VwGH or VfGH. Infringements of the procurement law entitle disregarded economic operators to claim forbearance, abatement and damages under the Unfair Competition Act. In addition, they may claim damages under civil law. However, entitlement to bring a claim before the civil courts is conditional upon a declaratory judgment of violation of the procurement law. In order to put an end to Austria’s persistent failure to transpose the 2014 Procurement Directives (for which the deadline was 18 April 2016) a comprehensive and detailed draft bill was presented in February and June 2017, and once again in March 2018. Due to constitutional requirements, the PPRA 2018 is subject to approval by the nine provinces to become effective. Since the latter allegedly have given their principal consent, a speedy adoption seems within reach. As to the date of the probable entry into force of the PPRA 2018, June 2018 appears likely. 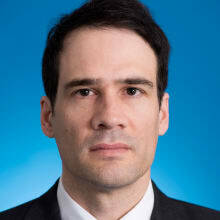 1 Philipp J Marboe is an attorney-at-law and counsel at Wolf Theiss Attorneys-at-Law. 2 W139 2158106-2, 23 August 2017. 3 Section 12, Paragraph 1 and Section 185, Paragraph 1 of th BVergG; Section 11, Paragraph 1 of the BVergGKonz; and Section 10, Paragraph 1 of the BVergGVS. 4 C-480/06, Commission v. Germany. 5 C-107/98, Teckal Srl v. Comune di Viano. 6 C-26/03, Stadt Halle, RPL Recyclingpark Lochau GmbH v. Arbeitsgemeinschaft Thermische Restabfall- und Energieverwertungsanlage TREA Leuna. 7 C-166/14, MedEval – Qualitäts-, Leistungs- und Struktur-Evaluierung im Gesundheitswesen GmbH.